The county plans to hire a company to speed up the medical review process so employees can get the care they need. 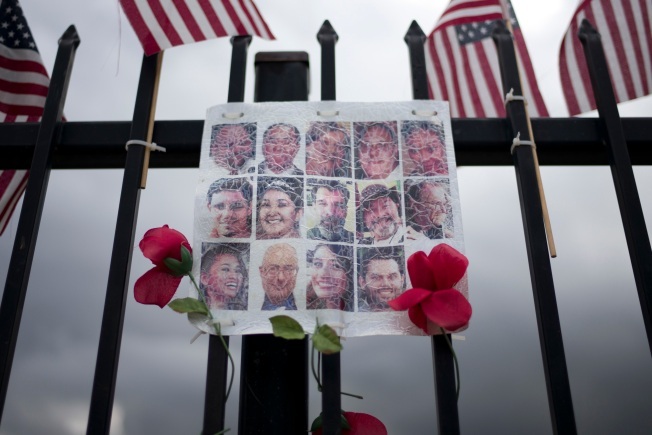 Some survivors of last December’s San Bernardino terrorist attack are fighting for care after the county’s workers’ compensation program denied medical and mental health treatments. Survivors brought their concerns to county supervisors during a meeting on Monday. County worker Sally Cardinale said she suffers from post-traumatic stress disorder after hiding in a bathroom during the attack. She said she had to plead for more medication when she was notified that she would be weaned off of it. The concerns raised by the shooting survivors in San Bernardino spotlight what hundreds of California’s injured workers and their doctors call a broken workers’ compensation system. The NBC Bay Area Investigative Unit first exposed this summer that the system designed to help get workers better and back on the job can actually make their recoveries more difficult by dragging out medical care or outright denying treatments their doctors say they need. Many injured workers and doctors have questioned the medical review process mandated by the state. The process called “utilization review” helps guide decisions about which medical treatments are appropriate. Third party companies working on behalf of insurance carriers or self-insured employers review requests for medical treatment and approve or deny care based on a set of guidelines. San Bernardino leaders said the county is taking steps to speed up the medical review process to get workers the care they need. Ramos also said many of the concerns raised by county workers coping with psychological and physical injuries stem from the county “not receiving supporting documentation from employees’ providers.” He said the county will work with doctors to obtain the proper paperwork needed to approve treatments. Christine Baker, the director of the Department of Industrial Relations, which oversees California’s workers’ compensation system, said she is working hand in hand with San Bernardino’s risk manager to expedite treatment for the county’s injured workers. Baker called last year’s attack an extraordinary event that resulted in serious psychological injuries. While not dismissing the value of treatment guidelines, she said reviewers need to take a “common sense” approach when reviewing requests that involve complex mental health issues. “We have to look at the situation more holistically instead of just looking at guidelines,” Baker said. The state has continued to tout the effectiveness of evidence-based medicine, which requires the use of medical guidelines to determine if treatments are medically necessary and appropriate. But Baker also said she encourages better communication between doctors requesting care for their patients and claims adjusters handling injury claims for workers. She said she’s confident that San Bernardino’s leaders are taking necessary steps to address problem areas. “I am hopeful that appropriate treatment will be provided in a timely fashion,” Baker said. If you have a tip for the Investigative Unit, email theunit@nbcbayarea.com or call 888-996-TIPS. Follow Liz Wagner on Twitter and Facebook.